Beef Hooves are a great source of protein with no artificial ingredients. This is one of our most popular chews because it gives all size dogs hours of gnawing time and has a high protein and low fat content. 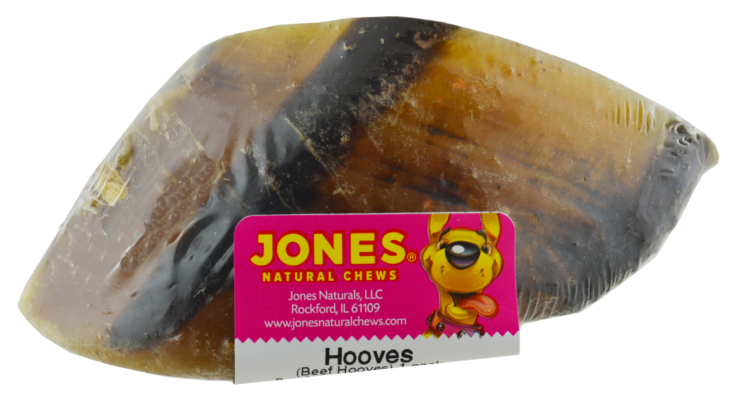 Hooves are USA natural beef toenails and have been thoroughly cleaned and baked to their finest. All Jones’ products are 100% grown and made in America.